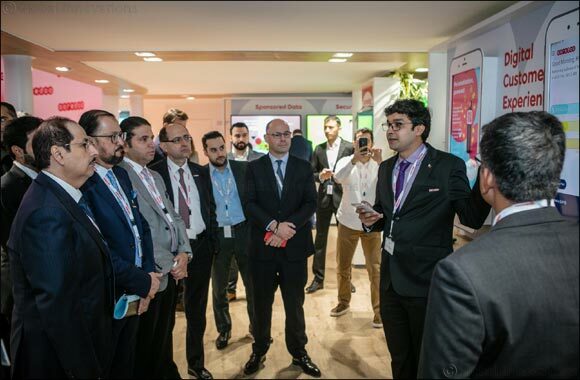 Qatar, ​March 01, 2018: Ooredoo Group, at Mobile World Congress, today announced that it is driving new levels of digital experiences, scaling up real-time and one-stop shop solutions from the Maldives and Oman to millions of customers across its operating companies. Across the Middle East, North Africa, and Southeast Asia, Ooredoo Group operating companies are undergoing digital transformation to become future-ready. There is a strong focus on leveraging digital platforms to support new levels of customer engagement and self-service. During Mobile World Congress, Ooredoo Oman has made a splash by launching Oman’s first all-digital, and individually-customisable mobile prepaid plan. Ooredoo Oman customers can find instant and personalised services, including activation, bill payment, special promotions and offers. New Shababiah MIX provides real-time usage meters, and the ability to manage shared packages, send gifts of data, and trade data, voice, or SMS, directly through the App. In the Maldives, Ooredoo Maldives is accelerating the growth of Ooredoo Next, its digital engagement platform that is powered by artificial intelligence and machine learning innovations. Customers can engage with Ooredoo Maldives on Facebook Messenger and Viber to stay up to date on offers, and view and manage their products and services. Showing the business benefits of Ooredoo Next, the digital platform has seen 30 percent monthly customer growth over the past five months, three times higher average revenue per user, 76 percent lower churn rate, and 10 times more efficient digital marketing campaigns. Ooredoo Maldives’ My Ooredoo App has also seen 180,000 installations, with customers monitoring their consumption, managing their mobile usage, and activating services. Inside the My Ooredoo App, the Ooredoo Magey Plan allows customers to create their own customised mobile packs, leading to 10 percent growth in average revenue per user. Ooredoo Group is exhibiting at Mobile World Congress under the theme of “Enriching People’s Digital Lives”. Ooredoo Group’s pillars include Smart Stadium, Smart City, Ooredoo Network 2022, Digital Partners, and Digital Experience, with a strong focus on the “Evolution to 5G”. At Mobile World Congress, visit the Ooredoo stand in Hall 2 - Stand 2H60 at the Fira Gran Via in Barcelona, Spain, from 26 February through 1 March 2018.